For those that love classic Ferraris sports cars, one vehicle that stands out in the 60’s is the 1968 Ferrari 365 GTB/4 Daytona. While Ferrari made its name in racing this vehicle in the late 60’s continued to bunk contemporary conventions of other sports cars and kept the rather large V12 engine in the front of the car. In fact, Enzo Ferrari is quoted as saying that “the horse doesn’t push the cart, it pulls it”. This reference helps to understand the thinking of this great man and top rated car company’s philosophy. One of the reasons that this Ferrari 365 GT/4 Daytona is such a classic is that besides its wonderful engine and performance, the lines of this vehicle are incredibly beautiful. For starters, the wonderful, long hood of the vehicle adds incredible grace and the rear of the vehicle is stylish and very Italian. Besides looking like a classic sports car, this Ferrari offers an incredible power plant under the hood. This vehicle offered a 352 horsepower V12. And with such a large power plant under the hood, this vehicle reached speeds of about 178 mph. 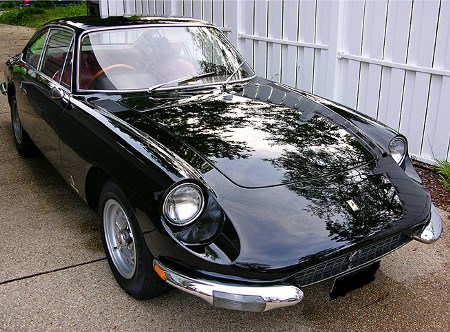 Besides the 365 GT/4, another Ferrari 365 was popular as well- the 365 GT 2 + 2. Obviously, this was a 4 seater that was constructed for more discriminating drivers. This vehicle was definitely luxury through and through- without decreasing performance. In fact, the 365 GT 2 + 2 easily achieved 150 mph and an acceleration from 0 to 60 in the mid 7 seconds. This vehicle achieved so much acclaim, that it received the very affectionate nickname the Queen Mother of Ferraris- which still holds true today.